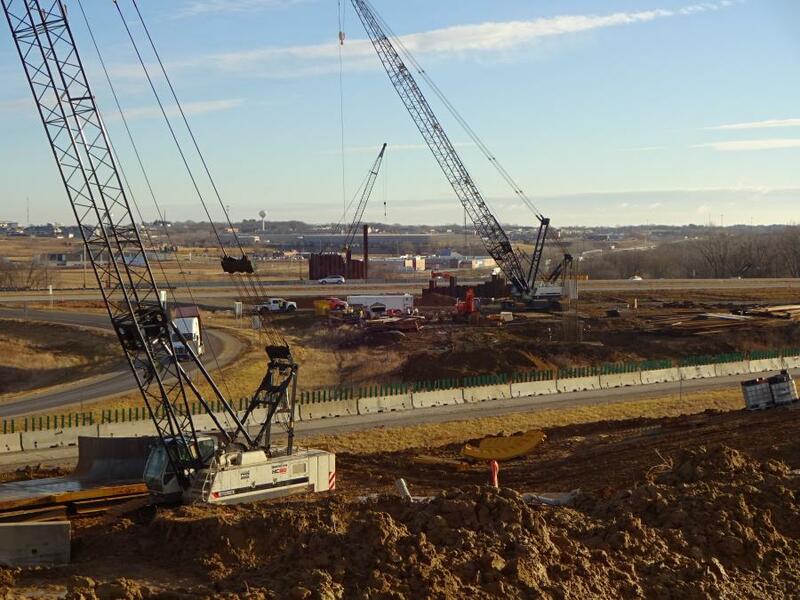 A multifaceted, $350 million highway project will give Iowa its first turbine interchange while, according to planners, improving capacity and safety and reducing congestion and delays on a major crossroads for both Iowa and the rest of the nation. 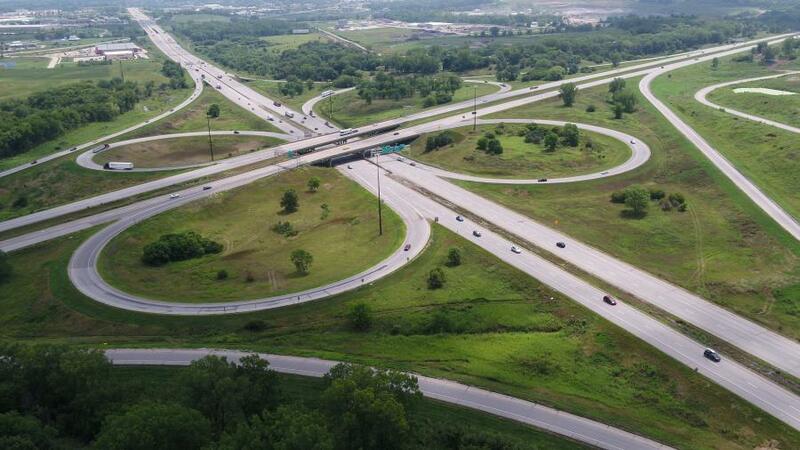 "The Interstate 80/380 Interchange is one of the busiest interchanges in the region," said Cathy Cutler, transportation planner for the Iowa Department of Transportation. "It is a vital link to the overall system of connectivity, mobility, freight travel and economic well-being." 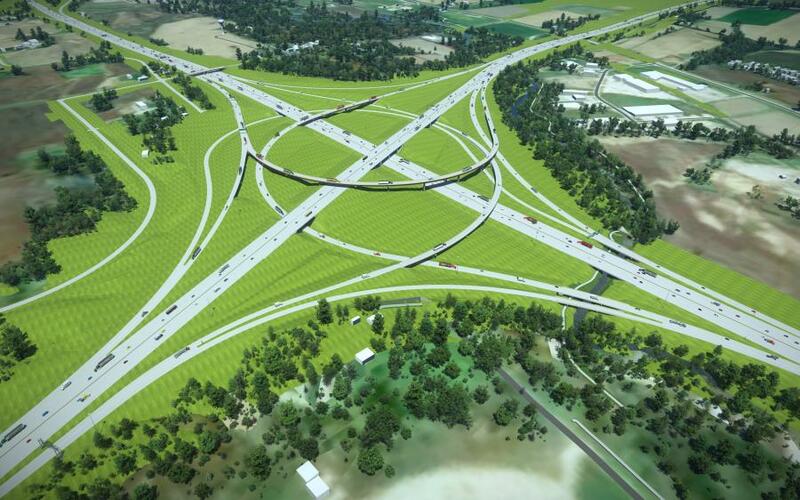 But the current cloverleaf interchange, built west of Iowa City and Coralville in the 1960s, is outdated and doesn't have the capacity to safely and reliably handle the projected regional freight and traffic growth, according to IDOT. When the original interchange was built, the area was rural, but it now handles more than 90,000 vehicles per day, including 15,000 freight trucks, and traffic is only expected to grow, Cutler said. "Once reconstructed, the existing ramps, on which numerous rollovers and crashes occurred over the years, will be replaced by a modern interchange that improves safety and mobility and travel reliability," she said. "A cloverleaf works fine when you have lower volumes. But trucks have to slow down when they use the loop ramps. Some loop ramps are steep and the loads can shift causing the truck to rollover. That blocks the lane and takes the day to clear. That was the justification for getting rid of the cloverleaf. The turbine interchange has directional ramps that are not steep. So they are smoother for trucks to use. It also allows them to maintain highway speeds so that when they merge with traffic traveling at 65 mph, they are closer to traffic speed than they are using the loop ramps." The directional ramps of the turbine interchange, so named because it looks like a turbine engine, also give traffic more time to merge. Work on the project began in 2017, with activity expected to ramp up this year and a number of contracts put out to bid in July. 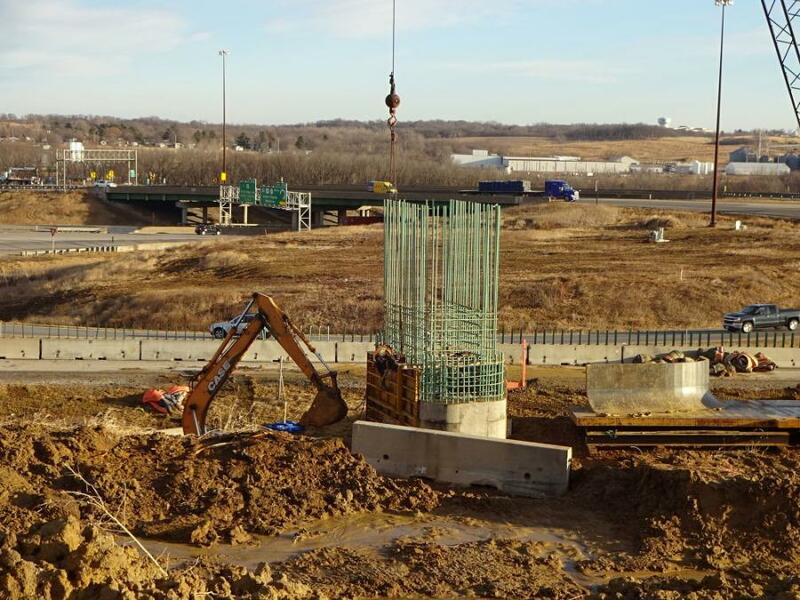 In conjunction with the I-80/380 Interchange project, IDOT also built a new Forevergreen Road Interchange two miles north and is improving a two-lane gravel road connecting North Liberty, Coralville and Tiffin. The project has been planned for some time, but moved up to provide a detour during the I-80/380 project. "We'll send traffic 2 miles north, over the bridge and then back south, and then they can continue on their way," Cutler said. "In addition to that, we worked with the city of North Liberty to improve Forevergreen Road. It will only be used for emergency incidents. If there's an emergency at 80/380 — say, there's a hazardous material spill or some kind of crash — we can prevent traffic from going down there. We can offload at Forevergreen and move to Coral Ridge Avenue." The 80/380 Interchange project involves widening Interstate I-380 to six lanes with 12-ft. shoulders for approximately 4 mi. north of I-80 to approximately 2 mi. north of the Forevergreen Road Interchange. U.S. 218/IA 27 will be widened to six lanes to approximately 2 mi. south of I-80. Additionally, auxiliary lanes will be included in some areas between interchange ramps, Cutler said. The state received a $50 million grant from the U.S. Department of Transportation's Infrastructure for Rebuilding American (INFRA) program. As part of the criteria for the grant, the state must speed up the project to minimize traffic impacts. The current schedule calls for the work to be completed by 2024, but that schedule is expected to change. "The impact of the INFRA grant is not yet reflected in the overall schedule, though," Cutler said. "We are still working on how to compress the overall schedule and have a meeting with potential contractors to share our ideas and hear their thoughts and comments on feasibility, and also hear if they have other ideas for us."